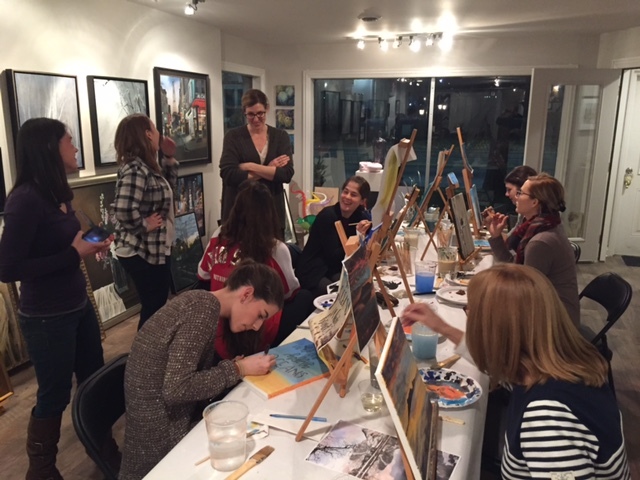 Open PAINT PARTIES—Thursdays, Fridays, and saturdays 7:00PM-9:00PM. 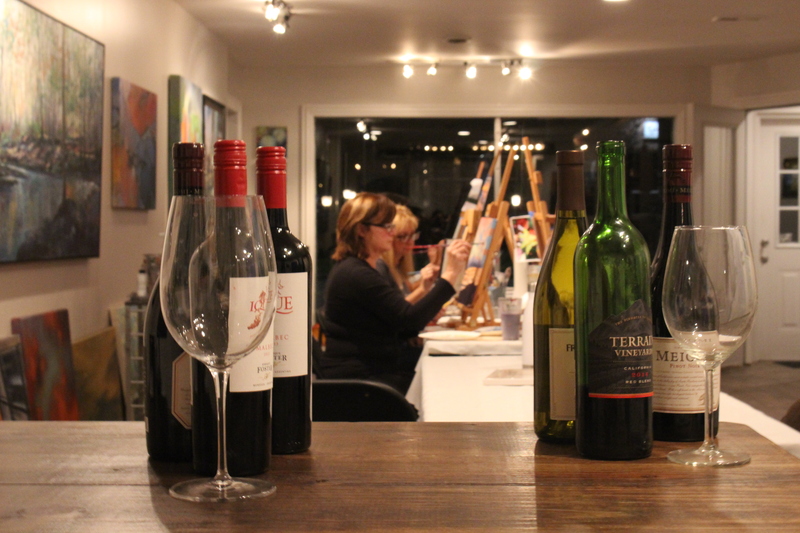 Terra Gallery invites you to create truly unique personal masterpieces while enjoying wine and hors d’oeuvres at our fine art gallery and studio. 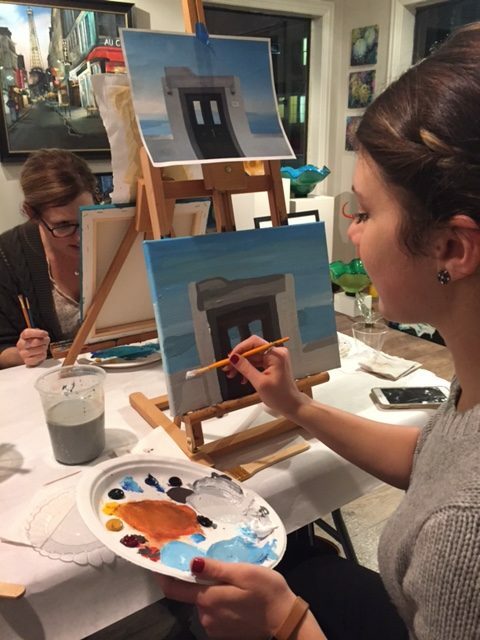 Our experienced instructors will guide you, no matter your skill level, in creating a piece you’d be proud to hang (or give as a gift) using professional grade acrylic paints. 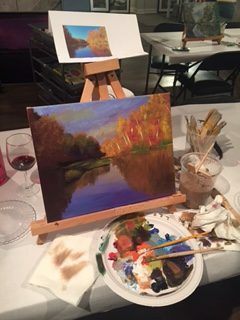 BRING A COPY OF YOUR OWN PHOTO YOU’D LIKE TO PAINT – Draw from your own inspirations, such as photos of favorite vacation spots, scenes/experiences to create a captivating landscape, seascape or something more abstract, impressionistic or contemporary. You can use your phone, iPad, or a photo you’ve printed off. OR WE CAN PROVIDE PAINTING INSPIRATIONS/PHOTOS FOR YOU TO PAINT. 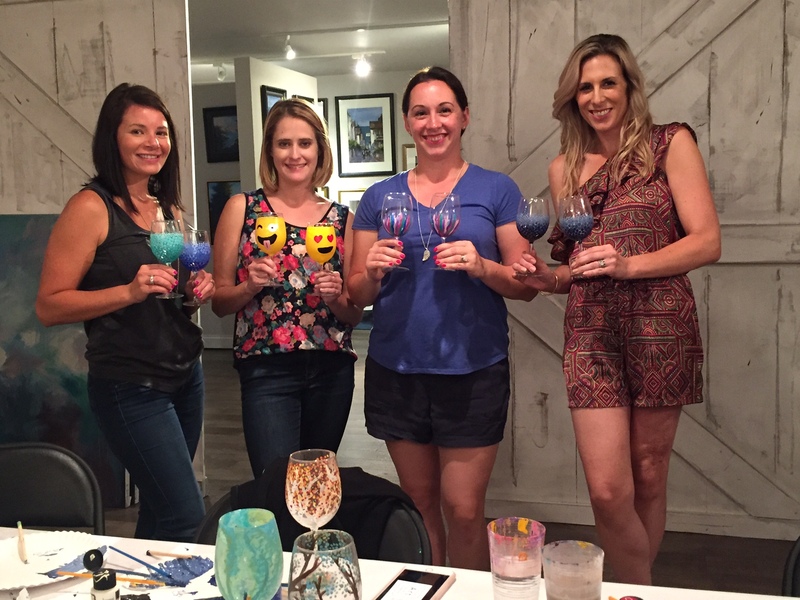 Contact us in advance if you like and we will help you choose a theme or painting for you or your group to paint. OR just show up as we have images/paintings available for you to copy. 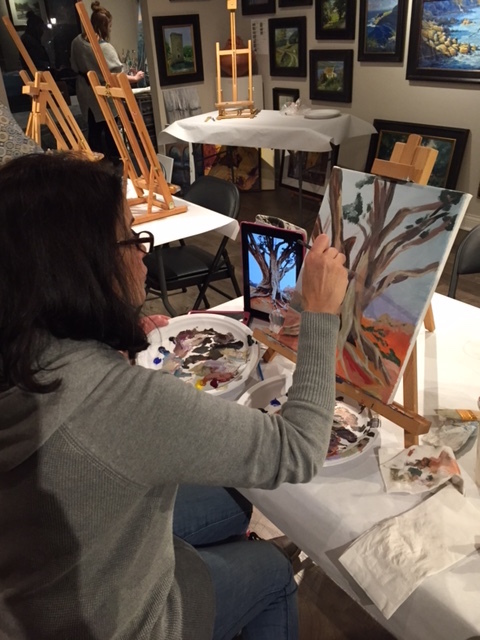 TO RESERVE YOUR EASEL: Contact Terra Gallery at (614)726-9260 or info@terra-gallery.com. Indicate the date and how many people you will have in total. Pay at the function or call in advance to make credit card payment by phone. Open to adults and children accompanied by adults. $35.00-$45.00 per person. 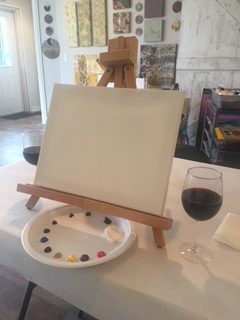 Includes the cost of all painting materials: paint, 11×14 canvas, or 2 long stem wine glasses, brushes and easels. We also provide complimentary refreshments, mixers, ice, cheese plate, chocolates and hors d’oeuvres.